There has been news lately of a distributed attack against WordPress sites. A growing botnet has been running dictionary attacks against sites powered by WordPress, in effort to gain access to the the admin panel and infect the server. As is usually the case with botnets, infected servers are assimilated into the pool of compromised systems that make up the botnet and put to use for nefarious purposes such as DDoS attacks. It’s important to note that this is not a WordPress security flaw, but rather an attempt to systematically guess passwords. The attacks consist of simple POST requests to wp-login.php with a supplied username of admin and one of many simple, insecure passwords. I’ve noticed plenty in my logs, including rainydays, sophie1, and wordpress. The requests come from a rotation of IP addresses in the botnet, making it difficult to block them outright. It’s easy enough to protect yourself from the attacks, providing you follow some simple best practices. Historically, every WordPress installation would come with an administrative user named admin, which was created during the setup process. In more recent versions, the setup screen prompts you to choose your own username instead of providing a default. Check the Users screen in your WordPress backend to see if a user named admin exists. If it does, you should replace it with a profile that has a unique name, ensuring that the new account has administrative privileges. Having a user account with that default name is a bad idea, because numerous attacks over the years have operated under the assumption that the operators of many WordPress sites will have been too lazy to change it. The current attack only tries passwords for a user named admin, as well, so ensuring that such a user does not exist will go a long way toward protecting your site. Back in 2010, I wrote a post on Using the WordPress Uploader in Your Plugin or Theme that went on to be one of my most popular tutorials of all time. Then the WordPress team went and added a much cooler media uploader in version 3.5 and make that post outdated. Since most of you probably want to add the new uploader in a theme or plugin you’re working on right now, I figured it was time for an updated post. The process required to add the new uploader is a bit different, but not too much more difficult. I was able to adapt the old tutorial a little, so it shouldn’t be too hard to replace some code in an existing project and get the new uploader instead of the old. Frank is built atop the responsive Foundation grid framework, and features a layout customization tool that lets you adjust how the homepage is displayed. I’ve been working on a WordPress plugin that takes advantage of the WP-Cron system (which, for the uninitiated, is a sort of event scheduling system that runs functions in WordPress at predetermined intervals). Unfortunately, that’s a bit of a pain considering the nature of the task. How do you test functions that are designed to run intermittently, say twice a day? The easy/hacky solution is to add a function call that runs the task on every page load, and then remove it when you’re done. But if you want a solution that doesn’t involve editing your code, there’s a handy plugin that’s perfect for this scenario. Core Control is a plugin that lets you monitor and adjust several parts of WordPress for diagnostic and development purposes. It makes it easy to view registered WP-Cron events, and trigger them with a click. It can also force WordPress to check for ore, plugin or theme updates, log any HTTP requests WordPress makes to external servers and determine which filesystem access method WordPress is using. 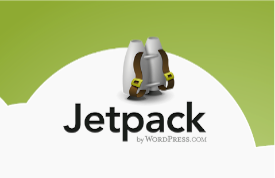 Automattic’s Jetpack plugin has certainly grown since I first looked at it. I originally dismissed it, not wanting to unnecessarily tie my own self-hosted blogs to WordPress.com for a few niceties like in-Dashboard traffic stats and very thorough spelling and grammar checking via After the Deadline. The big new feature in this version is a free service called Photon, an “image acceleration and editing service” which acts as a CDN for your images. It mirrors images it finds in your posts (or ones a theme or plugin developer specifies via an API) on WordPress.com’s servers, which enables them to be served faster and takes load off your server. This would be excellent for blogs hosted on cheap shared hosting, especially if coupled with a static caching plugin like WP Super Cache or W3 Total Cache. WooThemes launched a new redesign of their site this month, bringing some interesting changes along with the more modern style. The navigation has been restructured to highlight their non-theme offerings, making it clear that WooThemes is very serious about their plugin offerings (especially WooCommerce). Their “notorious” user management system has also been replaced with their own free WooCommerce plugin. I like the new look, with its flat colors and additional negative space. It seems more current, as excessive gradients seem to be falling out of style in web design lately—just as browser support for them is starting to catch up. It’s definitely easier to find what you’re looking for on the new site, so the new navigational structure is a success. The design looks great, but I find the switch to WooCommerce to be the most interesting. 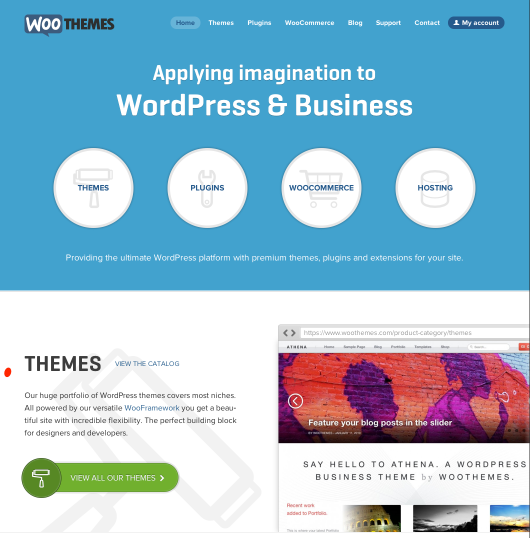 Not only is WooThemes “eating their own dog food,” but the fact that the largest and most known supplier of commercial WordPress themes is using it is good to know for anyone looking into e-commerce solutions. Starting in WordPress 3.5, the Links feature will no longer be a part of the WordPress core. The blogroll feature will be available as a plugin, Link Manager, so it’s not completely going away. Though it could be more convenient to use the Menus feature in place of the older blogroll function, having a menu to hold your blogroll links. Lorelle VanFossen goes into considerable detail on the issue, with a few migration routes, including using custom menus. Personally, I have mixed feelings about blogrolls. On on one hand, they’re a convenient way to recommend some of your favorite blogs in a persistent manner. Certainly good for a personal blog. On the other hand, they’re of more limited benefit for more topical sites. It’s probably a good thing that it’s being removed from the WordPress core, since blogrolls aren’t as popular as they were ten years ago. If you’ve been working with PHP for awhile, you’re probably familiar with one of the worst ideas the language’s developers ever came up with: Magic Quotes. If not, here’s a brief history lesson. In order to help newbies write functioning MySQL queries, they thought it would be a great idea to automatically escape input data with slashes, overwriting the $_POST, $_GET and $_REQUEST globals. So if someone submitted hello, I'm Steve through a form, it would be immediately converted to hello, I\'m Steve so the apostrophe wouldn’t cause issue if a naive user tried inserting it into a database.